INDUSTRY.co.id - Jakarta - The domestic bond market is likely to strengthen on Wednesday trading (30/08/2017) in line with the decline in US bond yields (US). Nevertheless, market participants should keep a close watch on the various sentiments that exist, especially those sentiments that can withstand rising odds. "Despite the rising bond market, but a decline in buying may disrupt local bond markets. The decline in current US bond yields could back up the movement of local bonds to reduce the potential for weakening, " said Reza Priyambada, an analyst at PT Binaartha Sekuritas in Jakarta, Wednesday (30/08/2017). 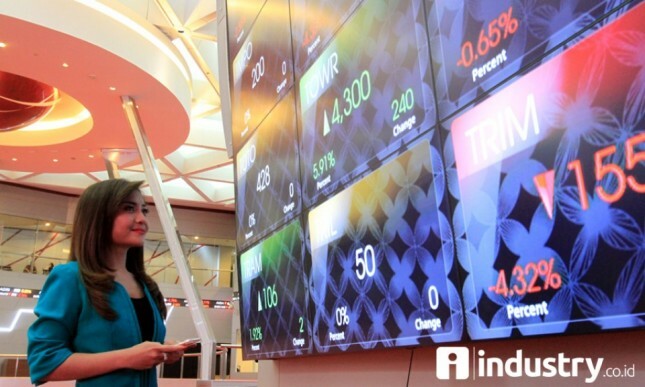 Previously, in the rupiah exchange rate weakened, bond market continued to increase. Meanwhile, market participants are trying to keep their position. "The rupiah is supported by the decline in US bond yields. Meanwhile, demand for market players to the value of assets that can survive in the long term (safe haven), including bonds continue to rise," said Reza.